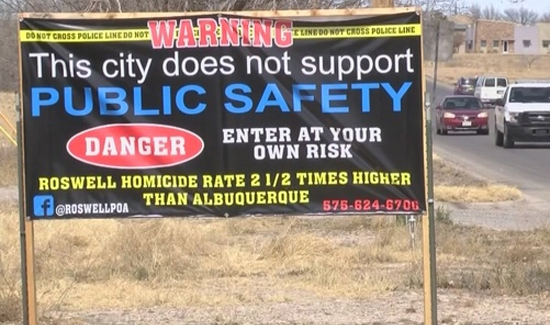 It’s entirely unclear if there was a case where one of these police association billboards advising people to move away or whatever ever led to a better deal at the soon-to-be missing bargain table but one thing’s for sure- people love these signs. Unfortunately they’re mostly cops and the messaging is supposed to be targeting civilians. 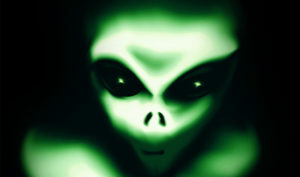 In Roswell, New Mexico, the reaction from non-police has been pretty negative. “It makes you feel bad, it made me feel bad,” said April Ibarra, Roswell resident. “The problem is financing funding wise. The city council controls all of that so we don’t really have a lot of room in our budget for extra training or extra equipment,” said RPOA President Donald O’Connor. O’Connor says cops don’t sleep in Roswell. “We have officers 24 hours a day, seven days a week. It’s just difficult when you have officers that are working 24 hours a day, seven days a week,” O’Connor said again- for extra emphasis. It’s unclear what the illegal aliens in Roswell think about the issue as they so frequently are afraid of talking to law enforcement authorities. It’s also unclear if they are technically lawbreakers or have some secret deal with the Feds. City officials said they’re not too worried about the hyperbole because police records show that murders were down 60 percent in 2017.